1.1 The Roll20 Marketplace (“Marketplace”) is owned and operated by The Orr Group, LLC, (“Roll20”). Your use of the Marketplace is governed by a legal agreement between you and Roll20 consisting of the Terms of Service which you agreed to upon use of the Roll20 virtual tabletop and the following End User License Agreement (“Roll20-EULA”). 1.2 You may purchase through the Marketplace “Assets” to be used personally and in the Roll20 virtual tabletop. Any Asset that you acquire from the Marketplace that has been developed by Roll20 or that has been made available by third-parties ("Providers") that are not affiliated with Roll20, will be subject to the Roll20-EULA. 1.3 Further, any free Asset that you acquire from the Marketplace that has been made available by Providers may also be governed by such Provider’s License (such as a Creative Commons License), which you can view prior to using or downloading the free Asset. Any free Asset that the Provider does not furnish a Provider’s License for will be subject to the Roll20-EULA. 1.4 You may use the Marketplace to browse, locate, and download Assets. Assets are electronic content including, but not limited to, the following forms: computer graphics (including 3D computer graphics), PDF documents, and other digital materials created in order to be utilized while playing games through Roll20. Some of these Assets may be offered by Roll20 while others may be made available by Providers. You agree that Roll20 is not responsible for any Asset on the Marketplace that originates from a source other than Roll20. Additionally, some Assets may be made available to you at no charge while other Assets may be purchased for a fee. You agree that you are solely responsible for all fees associated with purchases you make on the Marketplace. 1.5 In order to use Marketplace you must be 18 years of age or older. Upon use of Marketplace, you warrant that you have legal capacity to enter into the Roll20-EULA. 2.1 You agree that Roll20 may stop (permanently or temporarily) providing the Marketplace (or any features within the Marketplace) to you or to users generally at Roll20’s sole discretion, without prior notice to you. 2.2 Roll20 may make available to you various payment processing methods to facilitate the purchase of Assets from the Marketplace. You agree to abide by any relevant terms of service or other legal agreement, whether with Roll20 or a third party, that governs your use of a given payment processing method. You agree that Roll20 reserves the right to add or remove payment processing methods at its sole discretion and without notice to you. 2.3 You acknowledge that refunds for any Marketplace product shall be disbursed or not at Roll20's sole discretion. You may submit a refund request for Roll20's consideration within 15 days of purchase. You recognize and acknowledge that you waive your request for a refund if you choose to download the contents of a product. 3.1 In order to access certain services in the Marketplace, you may be required to provide information about yourself such as your name, address, and billing details. You agree that any such information you provide to Roll20 will always be accurate, correct and up to date. 3.2 You agree to use the Marketplace only for purposes that are permitted by (a) the Terms and (b) any applicable law, regulation or generally accepted practices or guidelines in the relevant jurisdictions. You agree to comply with all local and federal laws and regulations regarding the download, installation and/or use of the Assets. 3.3 You agree not to access (or attempt to access) the Marketplace by any means other than through the interface that is provided by Roll20, unless you have been specifically allowed to do so in a separate agreement with Roll20. You specifically agree not to access (or attempt to access) the Marketplace through any automated means (including use of scripts, crawlers or similar technologies from time to time). 3.4 You agree that you will not engage in any activity that interferes with or disrupts the Marketplace (or the servers and networks which are connected to the Marketplace). You agree that you will not use any of the Assets found on the Marketplace in a way that interferes or disrupts any servers, networks, or websites operated by Roll20 or any third party. 3.5 Unless you have been specifically permitted to do so in a separate agreement with Roll20 and except as permitted under the Roll20-EULA or a Provider License (for free Assets only), you agree that you will not reproduce, duplicate, copy, sell, trade or resell any Asset that you have acquired from the Marketplace for any purpose. 3.6 You agree that you are solely responsible for (and that Roll20 has no responsibility to you or to any third party for) your use of the Marketplace or any Assets, any breach of your obligations under the Terms, and for the consequences (including loss or damage of any kind which Roll20 may suffer) of any such breach. 3.7 You agree to comply with any and all applicable tax laws, including the reporting and payment of any taxes arising in connection with your use of the Marketplace or the purchase of Assets through the Marketplace, and that the reporting and payment of any such applicable taxes are your responsibility. remove, obscure, or alter Roll20's or any third party's copyright notices, watermarks, trademarks, or other proprietary rights notices affixed to or contained within the Assets. 3.9 While Roll20 does not undertake any legal obligation to monitor, prescreen, review, flag, filter, modify, refuse or remove any or all Assets or their content from the Marketplace, Roll20 reserves the right to do so, and if Roll20 is notified by Provider or otherwise becomes aware and determines in its sole discretion that an Asset or any portion thereof; (a) violates the intellectual property rights or any other rights of any third party; (b) violates any applicable law or is subject to an injunction; (c) is pornographic, obscene or otherwise violates Roll20's hosting policies or other terms of service as may be updated by Roll20 from time to time in its sole discretion; (d) is being distributed by Provider improperly; (e) may create liability for Roll20; (f) is deemed by Roll20 to have a virus or is deemed to be malware, spyware or have an adverse impact on Roll20; (g) violates the terms of this Agreement; or (h) the display of the Asset is impacting the integrity of Roll20 servers (i.e., Customers are unable to access such content or otherwise experience difficulty), Roll20 may demand that Provider fixes the Asset. In addition Roll20 shall itself be entitled to edit and make changes in the Asset. Finally Roll20 shall be entitled to remove the Asset from the Marketplace immediately, or reclassify the Asset at its sole discretion. Roll20 reserves the right to suspend and/or bar any Provider from the Marketplace at its sole discretion. Irrespective of the above, you agree that by using the Marketplace you may be exposed to Assets that you may find offensive, indecent or objectionable and that you use the Marketplace at your own risk. 4.1 Some components of Assets (whether developed by Roll20 or third parties) may also be governed by applicable open source software licenses. In the event of a conflict between the Terms and any such licenses, the open source software licenses shall prevail with respect to those components. 5.1 Assets available on the Marketplace may be subject to laws, administrative regulations and executive orders of those authorities responsible according to any applicable laws relating to the control of imports and exports of the Assets (“Export Laws”). You agree to comply with all applicable Export Laws and you shall not export or re-export directly or indirectly (including via remote access) any part of the Assets to any country to which a license is required under the Export Laws without first obtaining a license. 6.1 To the maximum extent permitted by law, you agree to defend, indemnify and hold harmless Roll20, its affiliates and their respective directors, officers, employees and agents from and against any and all claims, actions, suits or proceedings, as well as any and all losses, liabilities, damages, costs and expenses (including reasonable attorneys fees) arising out of or accruing from your use of the Roll20 Marketplace, including your downloading, installation, and use of any Asset. 7.1 The Roll20-EULA will continue to apply until terminated by either you or Roll20 as set out below. 7.2 If you want to terminate this agreement, you may do so by ceasing your use of the Marketplace and any Assets downloaded from the Marketplace. 7.3 Roll20 may at any time, terminate this agreement with you if: (A) you have breached any provision of the Roll20-EULA or the Roll20 Terms of Service; or (B) Roll20 is required to do so by law; or (C) Roll20 decides to no longer provide the Marketplace. 7.4 When the Roll20-EULA comes to an end, all of the legal rights, obligations and liabilities that you and Roll20 have benefited from, been subject to (or which have accrued over time whilst the Roll20-EULA has been in force) or which are expressed to continue indefinitely, shall be unaffected by this cessation, and the provisions of Section 11.7 shall continue to apply to such rights, obligations and liabilities indefinitely. THAT DEFECTS IN THE OPERATION OR FUNCTIONALITY OF ANY SOFTWARE PROVIDED TO YOU AS PART OF THE ASSETS WILL BE CORRECTED. 8.2 YOUR USE OF THE Marketplace AND ANY ASSETS DOWNLOADED OR OTHERWISE OBTAINED THROUGH THE USE OF THE Marketplace IS AT YOUR OWN DISCRETION AND RISK AND YOU ARE SOLELY RESPONSIBLE FOR ANY DAMAGE TO YOUR COMPUTER SYSTEM, OR OTHER DEVICE, OR LOSS OF DATA THAT RESULTS FROM SUCH USE. 8.3 TO THE MAXIMUM EXTENT PERMITTED BY APPLICABLE LAW, Roll20 FURTHER EXPRESSLY DISCLAIMS ALL WARRANTIES TERMS OR CONDITIONS OF ANY KIND, WHETHER EXPRESS OR IMPLIED, INCLUDING, BUT NOT LIMITED TO ANY IMPLIED WARRANTIES TERMS AND CONDITIONS OF MERCHANTABILITY, SATISFACTORY QUALITY, FITNESS FOR A PARTICULAR PURPOSE AND NON-INFRINGEMENT, WITH RESPECT TO ANY ASSETS DOWNLOADED OR OTHERWISE OBTAINED THROUGH THE Marketplace AS WELL AS THE Marketplace ITSELF. 9.1 SUBJECT ALWAYS TO CLAUSE 9.3, YOU EXPRESSLY UNDERSTAND AND AGREE THAT Roll20 AND ITS SUBSIDIARIES, HOLDING COMPANIES AND OTHER AFFILIATES SHALL NOT BE LIABLE TO YOU UNDER ANY THEORY OF LIABILITY (WHETHER CONTRACT, TORT INCLUDING NEGLIGENCE OR OTHERWISE) FOR ANY DIRECT, INDIRECT, INCIDENTAL, SPECIAL CONSEQUENTIAL OR EXEMPLARY DAMAGES THAT MAY BE INCURRED BY YOU THROUGH YOUR USE OF THE Marketplace OR ANY ASSETS DOWNLOADED OR OTHERWISE OBTAINED FROM THE Marketplace, INCLUDING ANY LOSS OF DATA, GOODWILL, BUSINESS REPUTATION OR OTHER INTANGIBLE LOSS WHETHER OR NOT Roll20 OR ITS REPRESENTATIVES HAVE BEEN ADVISED OF OR SHOULD HAVE BEEN AWARE OF THE POSSIBILITY OF ANY SUCH LOSSES ARISING. 10.1 Roll20 may make changes to the Roll20-EULA from time to time. When these changes are made, Roll20 will make a new copy of the Roll20-EULA available at the Marketplace. 10.2 You understand and agree that if you use the Marketplace and the Assets after the date on which the Roll20-EULA had been changed Roll20 will treat your use as acceptance of the updated Roll20-EULA. 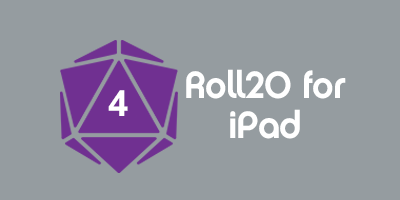 11.1 The whole legal agreement between you and Roll20 is contained within the Terms of Service and the Roll20-EULA, which governs your use of the Marketplace and the Assets, and completely replaces any prior agreements between you and Roll20 in relation to the Marketplace and the Assets. Each party confirms that, in entering into this agreement it has not relied upon any representations or statements not expressly incorporated herein. Notwithstanding anything else in the Roll20-EULA, neither party limits or excludes liability for fraudulent misrepresentation. 11.2 You agree that if Roll20 does not exercise or enforce any legal right or remedy which is contained in the Roll20-EULA (or which Roll20 has the benefit of under any applicable law), this will not be taken to be a formal waiver of Roll20’s rights and that those rights or remedies will still be available to Roll20. 11.3 If any court of law, having the jurisdiction to decide on this matter, rules that any provision of this agreement is invalid, then that provision will be removed from the agreement without affecting the rest of the Agreement. The remaining provisions will continue to be valid and enforceable. 11.4 You acknowledge and agree that each member of the group of companies with which Roll20 is affiliated shall be third party beneficiaries to this agreement and that such other companies shall be entitled to directly enforce, and rely upon, any provision of this agreement that confers a benefit on (or rights in favor of) them. Other than this, no other person or company shall be third party beneficiaries to this agreement (whether pursuant to the contract, law or otherwise). 11.5 The rights granted in the Terms may not be assigned or transferred by you without the prior written approval of Roll20. Nor shall you be permitted to delegate your responsibilities or obligations under these Terms without the prior written approval of Roll20. 11.6 The rights granted in the Terms may be assigned or transferred by Roll20 without your prior written approval. In addition Roll20 shall be permitted to delegate its responsibilities or obligations under these Terms without your written approval. 11.7 These Terms, and your relationship with Roll20 under these Terms, shall be governed by the laws of the State of Kansas, U.S.A. You agree that Roll20 shall still be allowed to apply for injunctive remedies (or an equivalent type of urgent legal relief) in any jurisdiction. This page was last modified on 12 April 2019, at 14:32. This page has been accessed 22,522 times.